Sleepwear for Women - From the softest knit long sleeve nightgown to a beautifully embroidered cotton bath robe, nothing beats the feeling of slipping into popular sleepwear that you love. Pretty cotton nightgowns from Miss Elaine, Coloratura nightgowns from Vanity Fair, organic cotton sleepwear from Calida, and more - follow along as we take a closer look at several of the most popular brands. Beautiful European lingerie offers classic styling that is never trendy or over-the-top showy. From the snow covered mountain peaks of Switzerland to the famed birthplace of Mozart in cozy Salzburg Austria, these brands hold a unique appeal for those who love well-made, quality sleepwear for women. 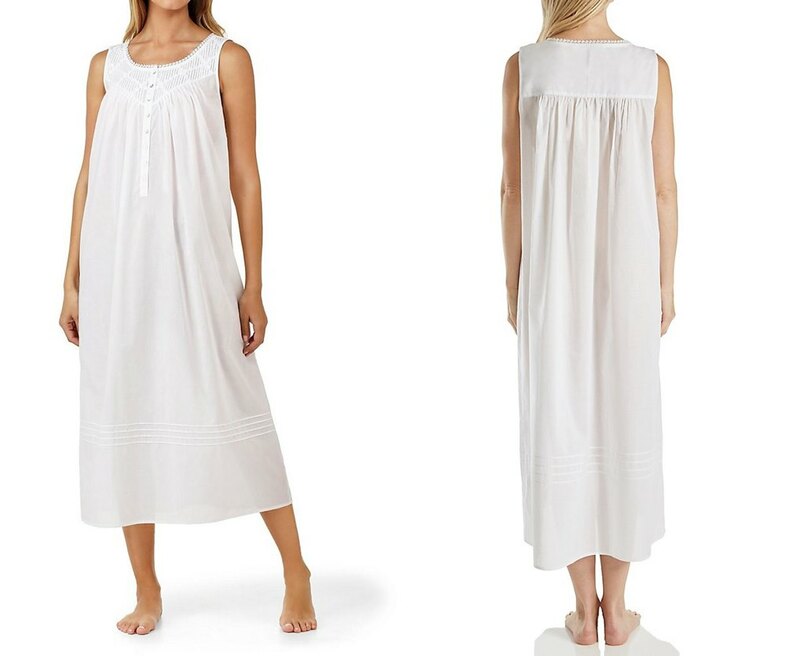 Calida Nightgowns - While Calida sleepwear is one of the most luxurious and well-known organic cotton sleepwear choices available, it can be out of reach if you're on a budget. No worries - with a few expert shopping tips you can still hit the jackpot with their sensational nightgowns and beautiful lingerie without spending a fortune. Here's how to save. Lanz Nightgowns - When it comes to luxury lingerie and fabulous flannel sleepwear, Lanz is among the very best. From their famous red plaid and Tyrolean flannel nightgowns to their heritage print womens robes and pajamas, their classic designs stand the test of time. Discover the best styles. Calida Nightgowns - One of the most celebrated high-end Swiss sleep wear brands in the world, Calida is the go to for comfortable cotton nightgowns that you can wear again and again. Not familiar with this womens lingerie? In this article we take a behind the scenes look at the myths and facts that will surprise you. Get the 411. These tried and true favorite sleep wear brands have beginnings that stretch back more than 75 years, and are just as popular today as ever before. With remarkable attention to detail their timeless styles offer an easy and comfortable fit, and they enjoy a fierce brand loyalty that often spans more than one generation in the same family. 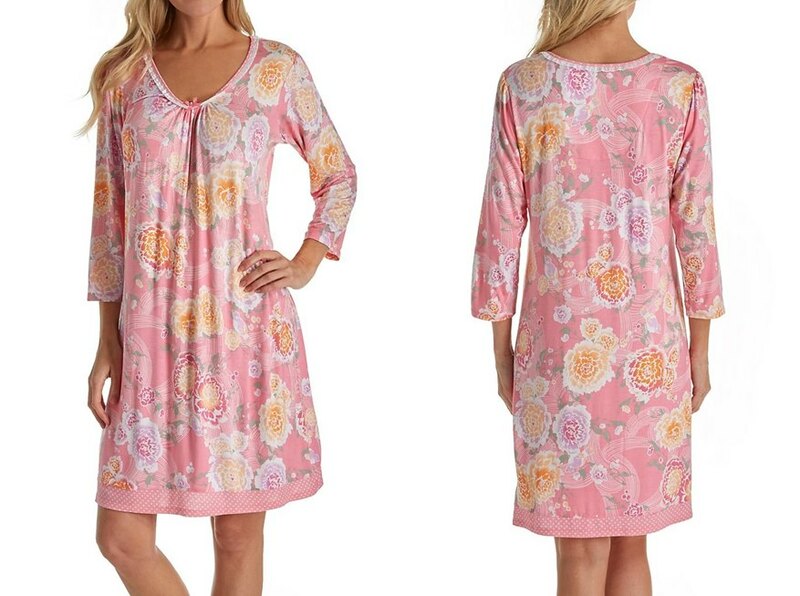 Eileen West Nightgowns - Best known as the lingerie brand with easy breezy California appeal! Designed with amazing attention to detail, Eileen West sleepwear styles offer the best of romantic femininity and soft flowing fabrics with an easy effortless fit. From long nightgowns to short nightgowns, sleep shirts and more, we're sharing the insider essentials that put this brand in our top 5 favorites. Learn about this popular brand. Vanity Fair Nightgowns - In the lingerie biz for more than one hundred years, Vanity Fair enjoys strong loyalty from their customers. The secret to their success? 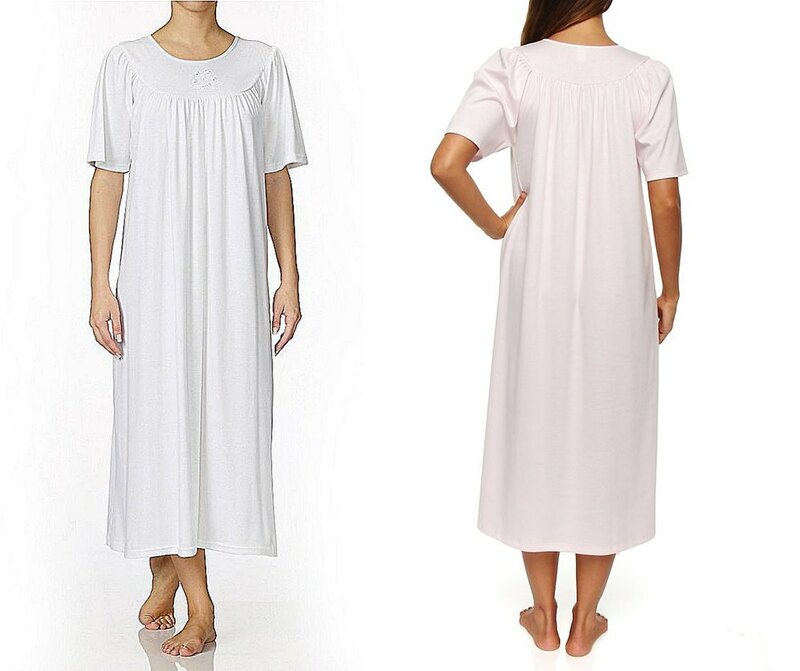 Classic nightgowns for women with a simple no fuss no muss design. 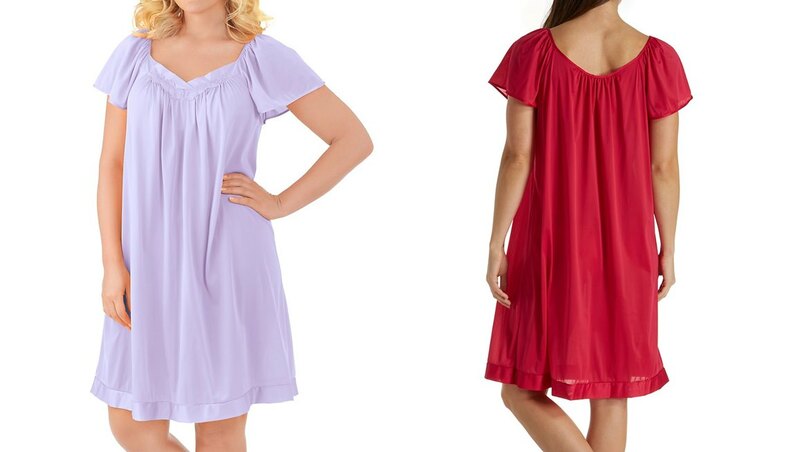 Slip into one of their famous Coloratura nylon nightgowns and see for yourself why women love this lightweight favorite. Explore Vanity Fair. Eileen West Sleepwear - from easy breezy cotton nightgowns, robes, and womens pajamas with sun-kissed California appeal to warm and cozy Austrian sleepwear favorites, Eileen West offers an exciting collection of sleepwear for women that's almost impossible to resist. Discover the brands. Miss Elaine Nightgowns - One of the most beloved intimate apparel names in the world, this is a sleepwear brand with universal appeal! Whether you're a devoted fan of Miss Elaine or you're considering one of their nightgowns or robes for the very first time, this family owned company offers something for every woman, no matter what her shape, budget, or preference. Uncover the insider secrets. Miss Elaine Robes - this celebrated nightwear is a first-rate favorite for women of all ages, offering some of the best choices that are feminine AND affordable. From simple wraps in cool, crisp, modern white and zip front robes in pretty florals, to caftans in prints, you'll have a difficult time choosing just one. Uncover the best styles.